We’re excited to announce that we’re launching a new service today, starting in London. 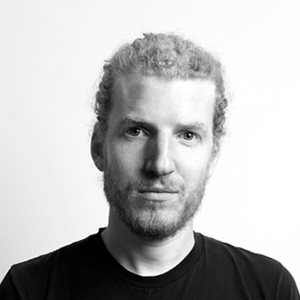 ‘Opendesk Express’ is about making it easier for customers to get hold of an Opendesk, or get paid for making one if you’re a maker :)! 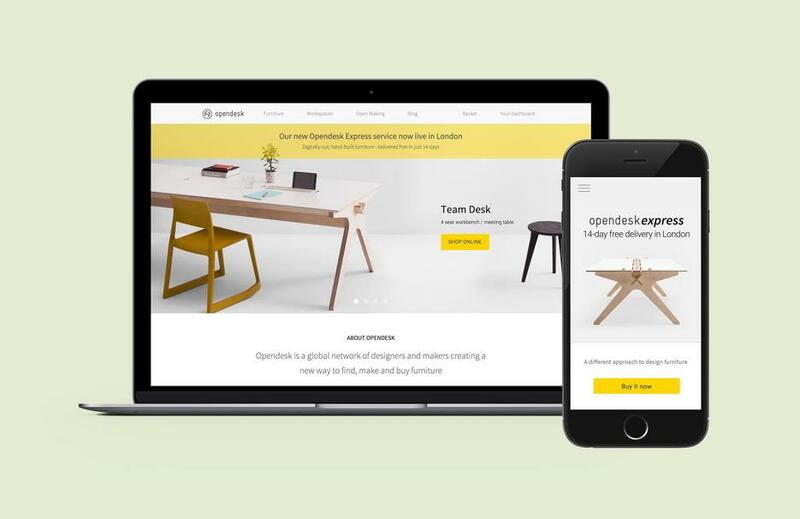 In short ‘Opendesk Express’ is about providing digitally-cut, hand-built desks for London startups, made locally and delivered to your office in 14 days. The biggest changes you’ll (hopefully!) notice will be to the checkout, and the listing pages of all our designs. We’ve added simple configuration options to the 4 designs we’re offering for ‘express’, and made the listings pages easier to follow and - we hope - easier on the eye! For Express we’ve tweaked a few of the designs in the collection - to aim them specifically at the creative workplace - from the home office to the growing startup and established agency. 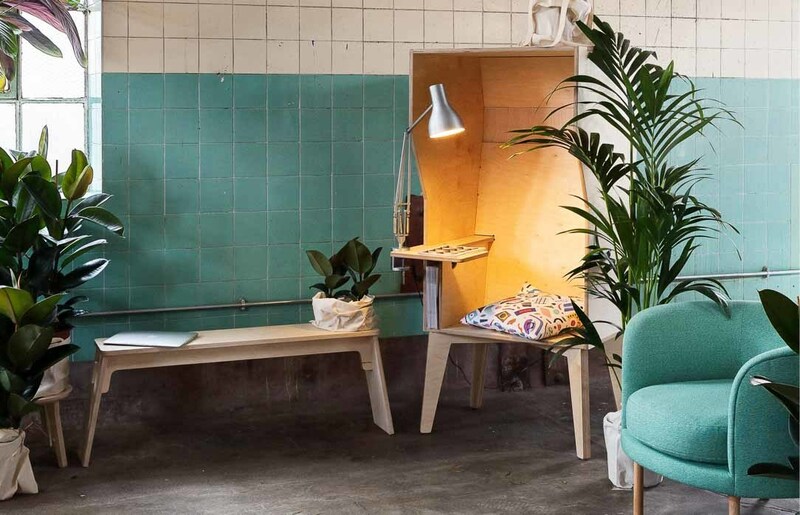 We describe it as office furniture grown from a love for design, natural materials and crafted making, which ‘brings together four great pieces from the Opendesk design library’. Our express collection is available both in beautiful oiled birch plywood or a bright arctic white laminate on a baltic birch core. To help things we’ve slightly adjusted some of the designs - and re-named them at the same time, to make them a little more distinctive. So the Office Olivia desk becomes the ‘Studio Desk’ - your personal office desk - its minimal design with discreet cable management makes it a great single person workstation. The Lean Desk is still the Lean Desk and still the original open source Opendesk - a spacious 4 person workstation, popular for its generously sized work surface. The Slim Desk has become our Team Desk - a slimmed down workstation, great for nimble teamwork and hot-desking, and the standing desk will henceforth be known as the Lift Desk - an adjustable height workbench, lifting from sitting to standing desk height to cater for varied working needs. We’re excited to launch Express as a new service, building on the existing Opendesk model and principles of transparency, ethical-production and open design. 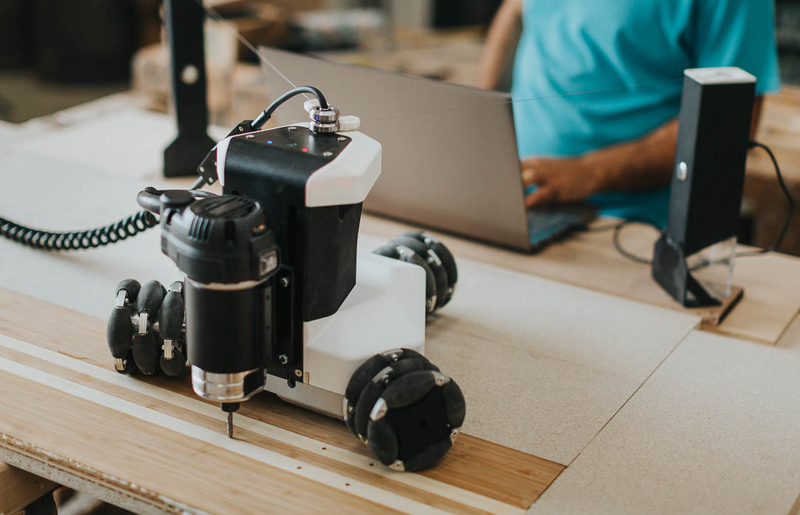 We’re also excited to ask our team and our community, how quickly a distributed network of makers can deliver the quality of furniture our customers expect. To start with, Opendesk Express is launching with just three of our trusted London makers - offering crafted quality alongside our new checkout experience. In time, we hope to expand Express through our fantastic makers around the world. You’ll still be able to request individual quotes from local makers via Opendesk.cc in line with our transparent model - Express doesn’t replace that, it runs as a new service on top - enabling instant online checkout and pushing demand for furniture directly to local makers. Please let us know what you think, we’d love to hear from everyone!